The 2nd round of qualifying has proven to be just as exciting as the first. With one less qualifier to work with, the intensity seems to rise as we approach the day’s end. Racers have 4 qualifiers and only need to keep their best 2 to set them up for Sunday’s A-mains. 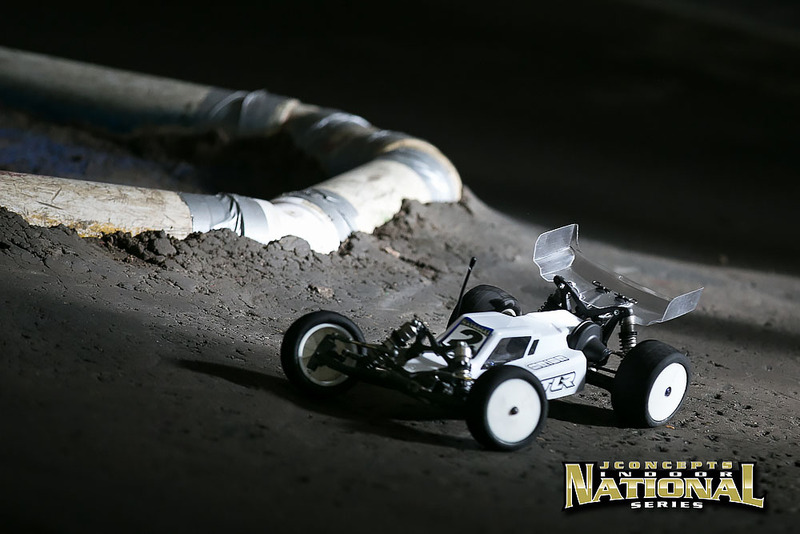 Once again, the 2wd stock buggy class saw an epic battle for TQ, but this time it would be TLR’s Casey Vitale taking the round with the only 18 lap run of the day. Shane Borden would finish 2nd with a 17 lap 5:05.97 and Kyosho’s Ron Begeot in 3rd only .2 seconds back! Stock truck saw the previous round 1 leaders swap position as it was Kyosho/JConcepts’ Shane Borden barely taking the round by only .02 second over David McLean. Both drivers put in identical 17 lap 5:13.5’s and a fantastic show for the audience. “E-Clip” Nikzat would round out the top 3. 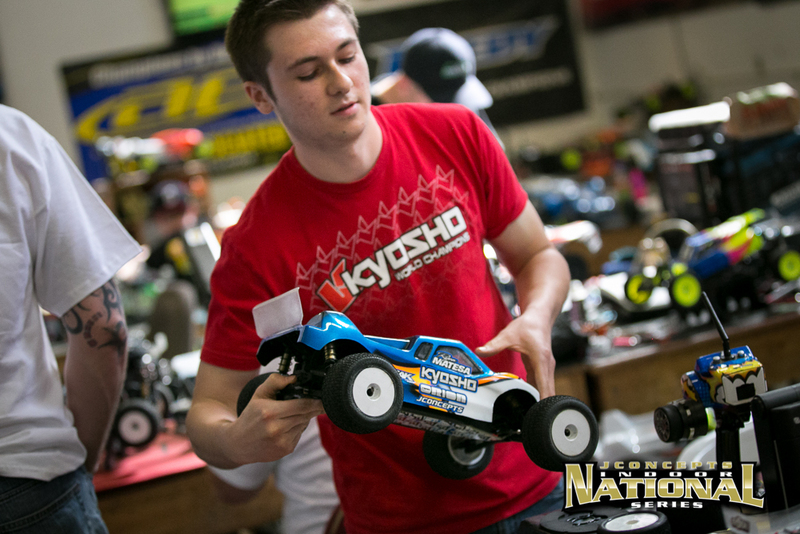 In the modified truck class, again it would be Kyosho/JConcepts’ Ryan Matesa taking another TQ with a comfortable margin of 3 seconds over AE/JConcepts’ Harley Yoshii with 18 lap 5:09.25. Improving on his previous round 1 effort, Spencer Rivkin would place 3rd for the round and only .1 second behind Yoshii. In 4wd modified, the crowd was treated to a spectacular show with another head to head battle between Ryan Maifield, Michael Schoettler, and Spencer Rivkin. All three drivers would trade tenths and laps for the entire 5 minute run showcasing their amazing talent. As the tone went off, Maifield would take another round to almost completely seal the deal in 4wd. 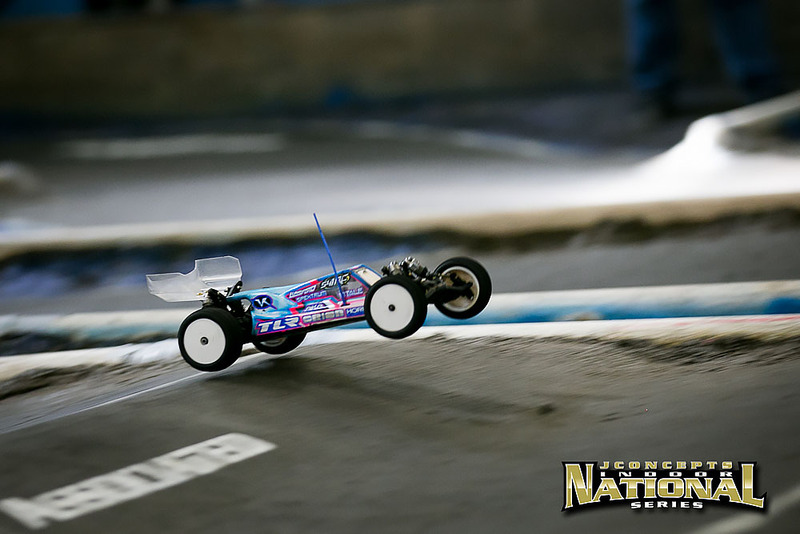 The only chance left for his competitors is to take back to back TQ’s in rounds 3 and 4 and settle it in a tie-breaker. Schoettler would again finish 2nd with a 19 5:05.89 and 1.6 seconds back of Maifield. Taking 3rd would be AE/JConcepts’ Spencer Rivkin with a 19 lap 5:07.37 who seemed to have found his groove with his B44.3. 2wd modified saw Ryan Maifield turn the only 19 lap run of the day so far with his TLR 22 2.0. Maifield is running what looks to be a JConcepts Finnisher practice body painted in all white, but has said his painted body should be arriving sometime today. With the track increasing in groove and grip, Maifield was able to turn a 19 lap 5:14.93. The surprise finish of the day was AE/JConcepts’ Luke Smith finishing 2nd for the round, who has been away from the RC scene for over 5 month because of work and relationship. With every pack, Smith is getting more comfortable with his 2wd and looking to finish strong for the weekend. 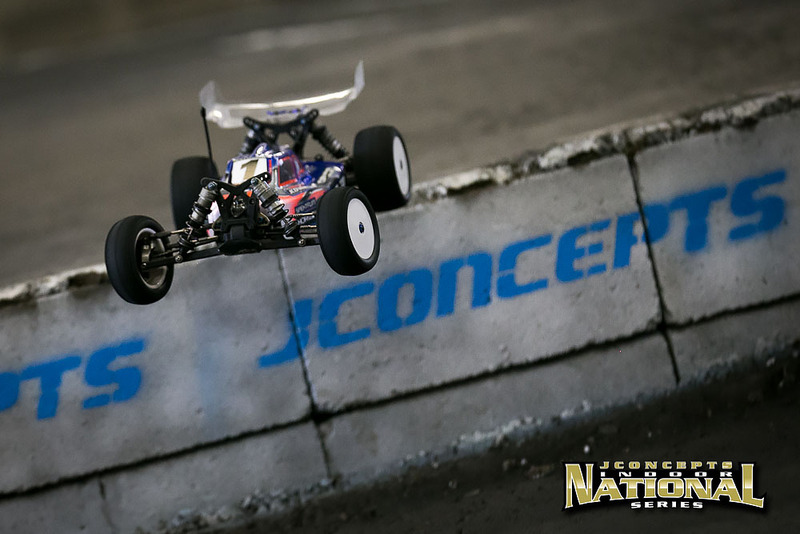 Kyosho/JConcepts’ Tanner Day posted another great round finishing 3rd and only half a second back from Smith. Day said he, “Pushed it too hard when he shouldn’t have,” which cost him a lot of time and the potential TQ for the round. With one more round of qualifying tonight and the final qualifier tomorrow morning, the racing is getting tighter from top to bottom. Tire wear is definitely increasing and those who are ready will have a great day to tomorrow’s main event. Tags: 2wd, 2wdmod, jconcepts, kyosho, michael schoettler, nationals, northwest, offroad, RB6, ryan maifield, setup, team associated, tlr 22. Bookmark the permalink.